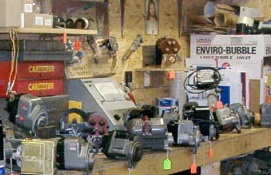 Here's a photo of part of our rebuilding shop. 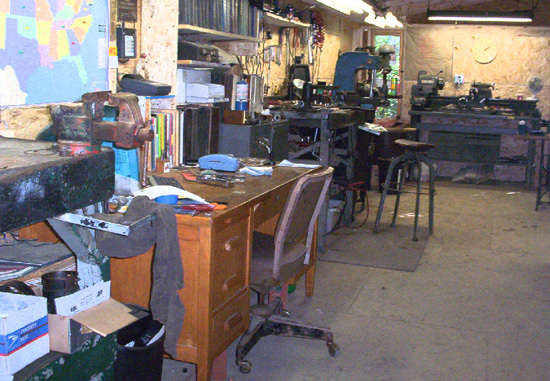 Here you see our work benches, desk, an arbor press, screw press, and drill press, as well as our lathe for machine work. We try to stay organized so your mag comes in, gets entered into our computer, rebuilt, run on the test bench, packed up, and shipped back to you, our fellow "Old Iron" enthusiast. Here's a Wico XH that's just been finished and is getting ready for the test bench. You can see our computer in the background that we host our customer database on that is networked to our home as well. '04 we replaced our computer with a new EMac. That means no mater if we're at the shop or the house, we can check on the status of your magneto. This is where "We Test, Not Guess" our magnetos prior to shipping. 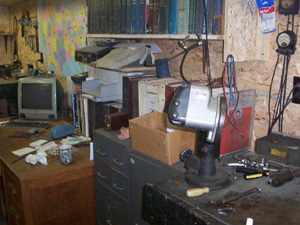 On the left is an Allen magneto tester capable of testing up to a 12 cylinder mag. 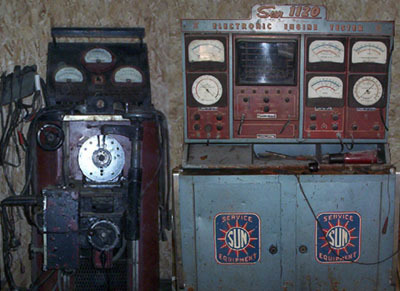 On the right is a Sun 1120 oscilloscope where we can see the output patterns of your coil as well as the make and break of the points. We can also "Test, Not Guess" our coils and condensers on this machine while the mag is disassembled. And now for the best part. The finshed product. Here are some customer mags ready to be packed up and shipped out. Please note that we do not rebuild aircraft magnetos and none of our parts or services are approved for use in the aviation industry. All units guaranteed against defects in parts and workmanship for 1 year. Consumer is responsible for shipping costs.